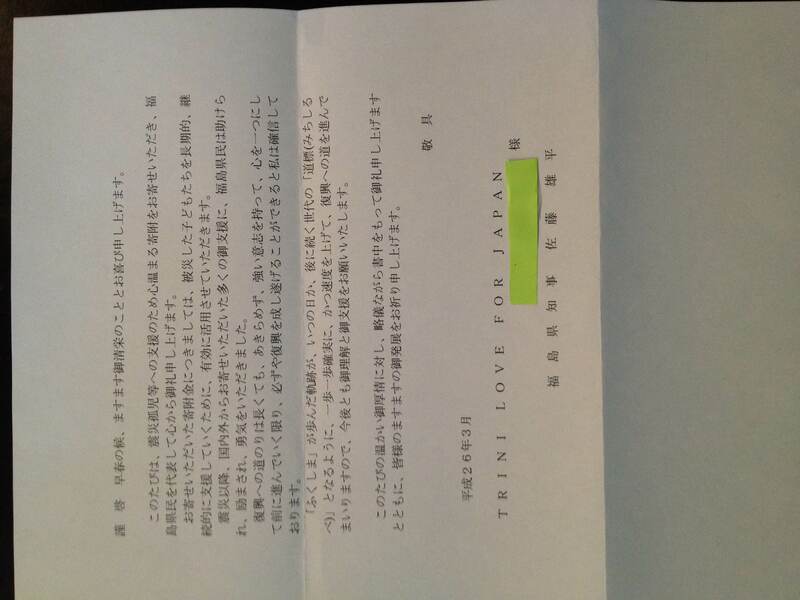 After we have launched in August 2011 the year of the Great East Japan Earthquake reconstruction assistance charity album “TRINI LOVE FOR JAPAN”, three years have passed quickly. We held a charity tour of Japan KES who came to Japan from Trinidad and Tobago in November of the same year. 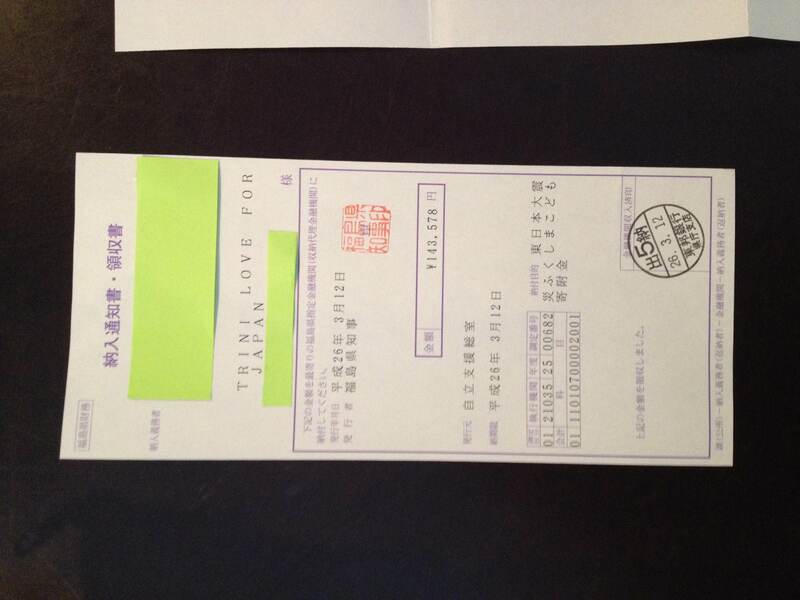 We donated to help children who lost their parents in the earthquake, ASHINAGA of the “Great East Japan earthquake Ashinaga tsunami orphans fund-raising”, plus the proceeds from the event and sales of the album, including the production costs ¥707,844 in December 2011. 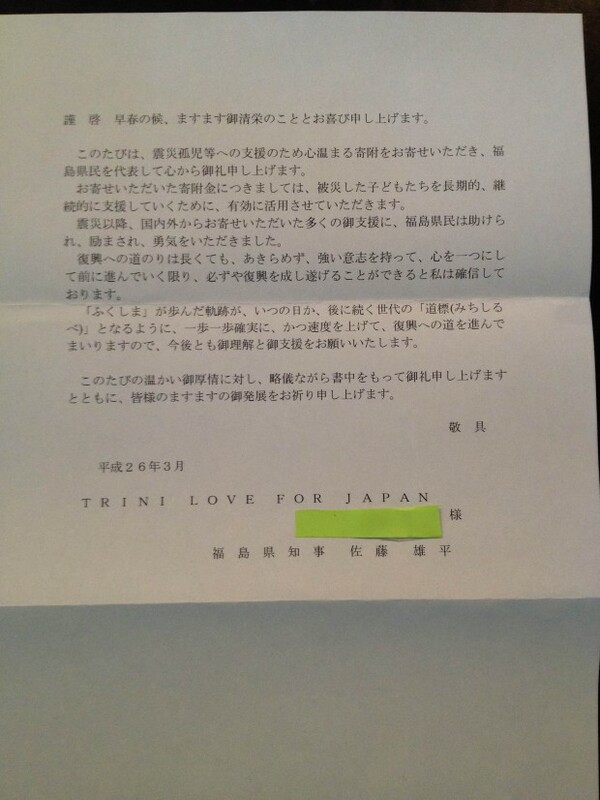 We also launched the charity Japan tour DVD of “TRINI LOVE FOR JAPAN featuring KES JAPAN TOUR” in March 2013. 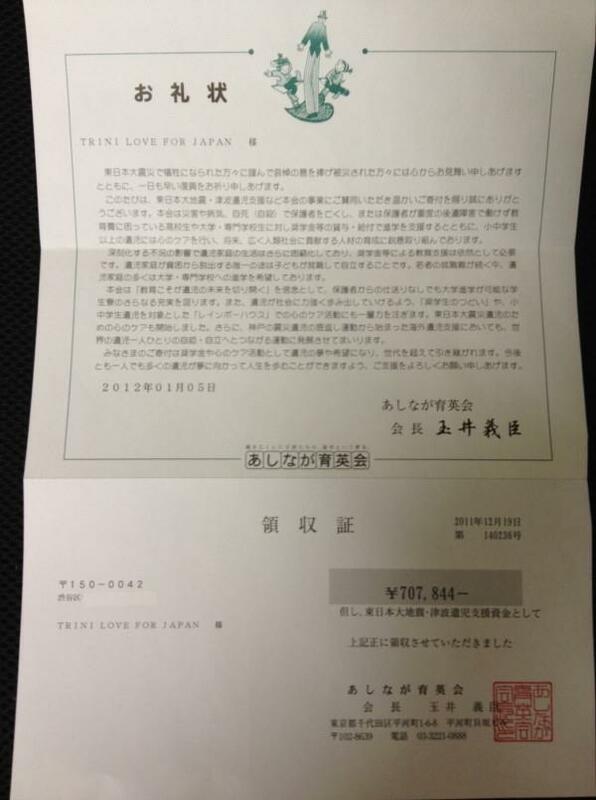 We donated to support the children of Fukushima who have lost their parents in the Great East Japan Earthquake in the “Great East Japan Earthquake Fukushima Children Support Fund”, except for the production costs from sales of the DVD ¥143,578 in March 2014. 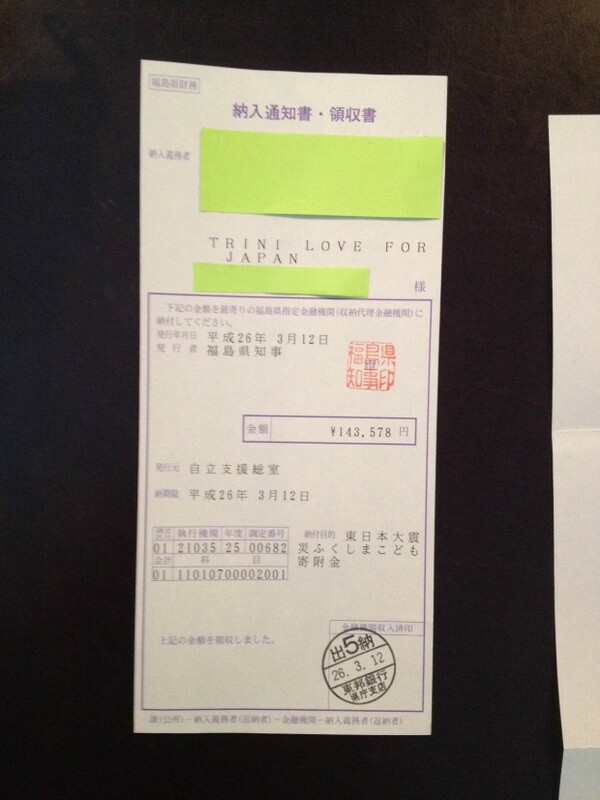 We will report that the total of donations in TRINI LOVE FOR JAPAN whole is now ¥ 851,422. Everyone of the artists who participated in the album, everyone who cooperated in production, KES & SIMON who came to Japan from Trinidad and Tobago, everyone of the artists who participated in the tour, the staff who helped the tour, and we really appreciate everyone.